I worry about giving up too much for a goalie that is a back-up and was undrafted or a late pick. I know people will always reference Lindquist, or Rinnie as why you don’t take goalies high, but look at Price, Schneider, Dub, Quick, Rask, Luongo and so on as goalies taken in the early rounds. The argument for draft position not mattering for goalies could also be made for forwards by referencing Benn, Gaudreau, or St. Louis. One would have to think that an upgrade to a avg goaltending duo + McDavid would start to show improvement in the standings. The problem would still remain ” can we get better d men to take the puck away from the other team and into our FWDs capable hands”. Let’s assume Nurse makes the squad. Better overall DMan than most current oilers, but inexperienced at this level and will make mistakes. Probably not CURRENTLY an upgrade over say Petry last year. ( different types yes, nurse will be better later. ). Klefbom is coming along and is a better option than whoever the hell started the season last year before he came up, (Davidson, Aulie, etc) Marincin I feel is still a better defensive option than Shultz and Nikitan. Fayne and Ferrence are what they need to be, as long as u don’t need them to be more. I truly believe that nurse, Klefbom, Marincin, Fayne, Ferrence and Schultz are a better top 6 than anything we had last year in 1 game, but it’s still too bottom heavy. If we were to add one ligit top end guy to play with Klefbom or nurse, the other with Fayne, easy minute guys are Marincin and Ferrence. And sign any FA or bring up a guy from the AHL to that 7 spot. Get rid of Shultz and Niki. Then we start to look like a NHL D, but still very inexperienced. I would rather young guys learn from their mistakes, than learn the mistakes that the vets are habitually making. F**KING MCDAVID!!!!!!! It is funny that Dubnyk would be the best option as he has the best track record and you don’t have to give up anything. With MacT pushed out he might actually pick up the phone and not laugh hysterically. A 16th overall in a deep draft is too much for an unproven goalie. Schnieder was only worth a 10th and he was a proven top ten goalie. Bold moves doesn’t equate to poor asset management. At least it seems we are off the Jones train with the new management. With all the MSM floating the idea that giving up a 16th overall pick for the second coming of Scrivens and annointing him our new saviour was going to blow up in our faces. Goaltending makes a huge difference.You only need to watch the Flames game to find out. A good goalie can give defensemen and forwards that incremental confidence to pinch a little more or stay in the O-zone for that extra few seconds. That incremental % results in more scoring chances over 82 games. While a below average goalie causes that % to go the other way. Goaltenders make coaches. If a coach has won a jack adams lately its been because of goaltending. Mammond single handedly got the Sens into the post season with no change on D or systems. I was really pro Anderson, anti Niemi (hehe get it?). But I looked at the 3x 4.2 for a 34 year old Anderson that we’ll have to surrender assets for and I don’t like it. A similar contract for a 32 year old Niemi that we don’t have to surrender assets for might be better. The best case scenario is that we acquire Talbot (or whoever) and he turns out to be a great player for us. We really need some defense if we want whoever the new net-minder to succeed. I deffer to Chiarelli. I like the anderson side if you consider moving purcell for him. Moving that contact would allow for some forwards that are better 2 way players to be signed at UFA time. That wouldn’t be enough for me. Purcell would save us this year, but I’m not worried about Anderson this year. I’m worried about the cap hit next year, and really worried about it in 2017/18. Ottawa is also looking to dump salary right now, so they wouldn’t take Purcell anyway. We’ll see what Chiarelli can do this summer. Purcell and Nikitin are not restrictive despite their ridiculous numbers. I hope to see them gone, but they need to be replaced by other veterans, not prospects. If we have to keep them this year, I don’t think it will have much impact on the team. We need guys with cool names like Zarley Zalapski and Peter Tagliennetti (sp). Any goaler’s save % will go up, as long as his rebounds don’t end up right on the opponents sticks, like I saw this year. Because with that you also have Jultz standing watching the guy shoot the puck in. Scrivens also had alot of trouble with some extra “holes”,like under his arms etc., he also didn’t seem to fight through screens to see the pucks very hard later in the season, almost like he had given up. He made himself look smaller in the process. Totally agree, even average goaltending would make a quantum leap in our competitiveness and goals against. Just look what Halak and Hiller have done for Calgary and NYI. Obviously defense is a huge part of it too but you can’t win when you are getting terrible goaltending. I couldn’t disagree more though with your thoughts on trading for Talbot. He’s no different than the Scrivens signing. Unproven goalie, with a limited sample size playing behind an elite defense. Maybe he is a starter, but the key word is maybe. We can’t afford to drop the ball on unproven goaltending again. We need a proven starter or a stud. We shouldn’t settle for anything less. I agree that we need to leave no stone unturned in the search for a new goalie, however one has to wonder if Scrivens can pull a Devon Dubnik and turn his career around over the summer. I think Scrivens can be an excellent back-up to a proven number one. I’d like him to be kept around in that position if for no other reason than Mrs. Scrivens is wonderful and a welcome addition to the city. I’ve been harping about this a bit much perhaps, but the Oil should sign Sean Burke as their goaltending coach as he seems too have a bit of a touch with goalies. While the Oil definitely need a goalie, the priority should be defencemen still. Getting the D men sorted would make the goaltending a lot less of a priority in ways. I may also be in the minority here, but I was really impressed with Bachman when he came in near the end of the season, I thought he let in the shots that were expected but saved the ones that were expected(there was the odd exception of course) . Scrivens concerns me as he seems to be all over the map and he just looks out of position all the time and seems to flop around a lot, I guess like Ranford did and he was his goalie coach in LA so maybe it’s not a surprise. It still annoys me that the Oil let Hiller pass when they could have had him for free. All in all its nice to be excited for the Oil for a change. I like Scrivens as next year’s backup, but he’s a tire fire outside of the crease. Goaltending us 90% mental, and they all lose confidence behind crappy D.
I could totally be wrong in this, but I thought Bachman was fine and I’m not a fan of a 2 million dollar backup. If they could trade Scrivens and sign Bachman at a million or even a bit less as I’m sure he would take a pretty small amount for another proper kick at the NHL can, I would do that happily. It’s a vicious cycle because it goes back to if the Oil have solid D and a goalie coach that can get the best out of the goalies, I wouldn’t be too stressed about who the Oil have in net, but currently the whole defensive unit including the goalies are a car crash. I had a look at the shots against and the Oil were on par with the Habs but the goals against was a difference of one. Actually most of the GAA of teams with similar shots against were around 0.750 to 1 less than the Oil. So they can go one of the 2 routes, one being shore up the defence and have a coach that can create a defensive system that can work making less of a priority on the goalie, or find a lights out keeper and just tinker with the defence. Not sure which path is easier. Again just a suggestion, maybe the Oil can go b*lls to the wall and see if Pittsburgh would be willing to offload Fleury as he is at a fairly cap friendly 5.75 million, signed to 2019 and I think the Pens have some cap issues they have to deal with. Their early exit from the playoffs could mean some big changes for them and I think he isn’t terribly popular there right now. Sean Burke has helped goalies in Arizona but he is the assistant GM there as well. Also being considered for other GM jobs as well (toronto). I doubt he wants to give that up to become our goalie coach. Who knows as I’m sure money can play a part and titles can be as meaningful and meaningless as you want them to be so if it takes him being named and Assistant GM and his own office and parking right at the door, I would have no issue with that. I just think that a good goalie coach is important and seems to be an afterthought. The Oil seem to be making big moves to be a contender and this should be something they should do as well. 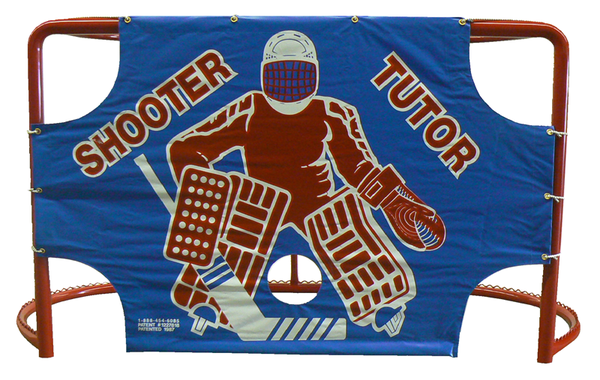 the Oilers need to upgrade their goaltending. I think the free agent route is the direction to go. There are a few free agents available, hopefully PC is putting together his list. (and sign for 2 years) Remember Hiller was being pushed out by Anaheim. The Oilers must look for the best available Dman at #15, or 16 pick this draft. The cupboards are still bare, and this is a deep draft. Defence – we need to continue to draft and develop, especially with the future cap implications. PC will be checking the free agent list for possible short term Dmen upgrades. Teams do nto trade their #1D, so let’s draft and develop our own. Talbot for our PITT pick this year would be a massive mistake, Talbot has 1 year left (next season) and then he’s a UFA, not worth throwing a middle of the pack 1st rounder away for a goalie who may only be here for 1 year, especially when this 1 year isn’t going to be a cup run, so its even more important not to waste that pick in a trade like that. Mr.Chiarelli here is what you need to think about right now. Goaltender, Defense, Goaltender, Defense, Goaltender,Goaltender, Defense, Goaltender, Defense, Goaltender,Goaltender, Defense, Goaltender, Defense, Goaltender,Goaltender, Defense, Goaltender, Defense, Goaltender,Goaltender, Defense, Goaltender, Defense, Goaltender,Goaltender, Defense, Goaltender, Defense, Goaltender,Goaltender, Defense, Goaltender, Defense, Goaltender,Goaltender, Defense, Goaltender, Defense, Goaltender,Goaltender, Defense, Goaltender, Defense, Goaltender,Goaltender, Defense, Goaltender, Defense, Goaltender,Goaltender, Defense, Goaltender, Defense, Goaltender,Goaltender, Defense, Goaltender, Defense, Goaltender,Goaltender, Defense, Goaltender, Defense, Goaltender,Goaltender, Defense, Goaltender, Defense, Goaltender, Draft McDavid Nuff Said! I like Brossoit just fine but he needs to be Plan C going into next season. If he shocks us all in camp, bonus. That’s a nice problem to have. Put me in the camp that thinks landing a solid couple defensemen is the #1 priority and GOalie comes #2. I find it funny that in the article we’re asked to look at the minisota wild to see how goaltending is going for them. yea, you mean the goaltender that the Oilers had? who we ran out of town for nothing? oh yea, it would be so nice to have him. WHen your goalie is left out to dry game after game, its a freaking miracle if they can get anywhere close to a .900 avg. Duby somehow did it w/ decent save %’s when he was an Oiler. The only common denominator since ’06 is terrible defense. The Oilers have had some good goaltending performances since ’06 but were still nowhere near the playoffs. They’ve always had a bunch of #4’s-8’s D playing higher up the lineup than they should be. It’s close, but I believe the need for a defense upgrade slightly trumps the goaltending need for an upgrade. Although with only Scrivens signed, there is an imminent goaltending change coming anyways. I think the goaltending and defense situations are equally dire. I have trouble trying to identify one or the other as the priority. They need to both be the priority otherwise only half the problem is addressed. We have league worst goaltending behind a league wost defensive corps. Have a McDavid day all! No big deal. I’m sure most people can figure out what you’re trying to say.